Oleg Alto Saxophone Necks are deigned to eliminate all traditional acoustical problems with the saxophone, such as uneven pitch on the extreme upper and lower registers. Endorsed by countless world-famous saxophonists, each neck is meticulously hand-crafted using the Oleg Optimized Acoustics Method to produce a rich and powerful sound with perfect intonation. The traditional Oleg neck finish is classic gold. 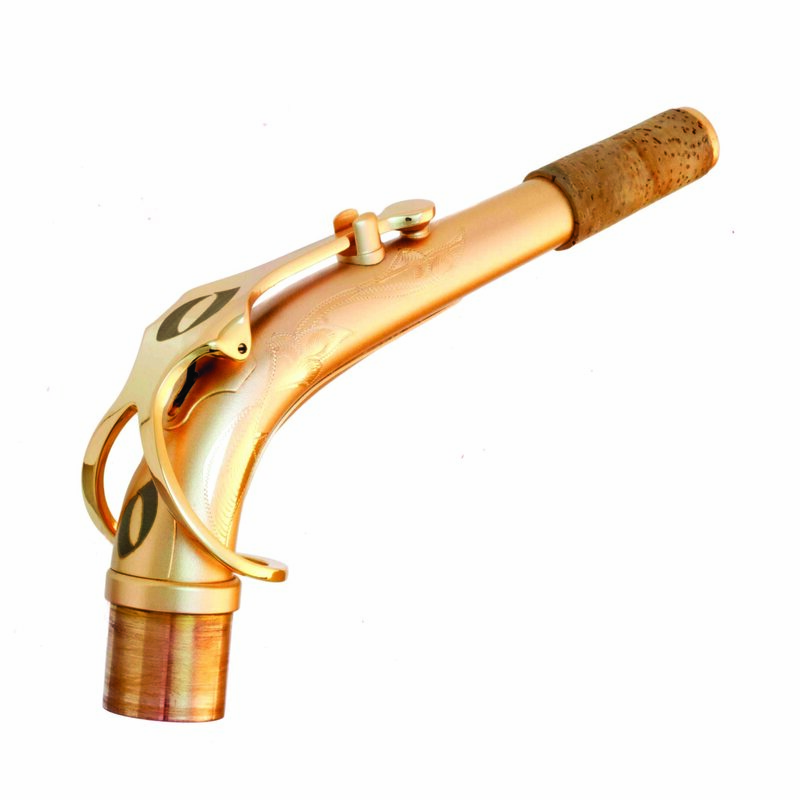 Please note that custom finishes (anything other than gold neck pipe with gold octave key) are custom-made to order and may take an additional 1-2 weeks to ship. Custom items are ineligible for return. Custom finishes available by request. Want to try it before you buy it? Take advantage of the Oleg Return Policy to test drive the Oleg Neck without making a final commitment.